Hi, Duffy Brown here chatting about the old TV shows. It’s not that I don’t like the new shows on TV but sometimes I just want to watch something from years ago. It’s like visiting old friends. And with the help of Netflix and Hulu and Amazon Prime I can do it without commercials. Even if without Netflix and the like there are channels that show the oldies. 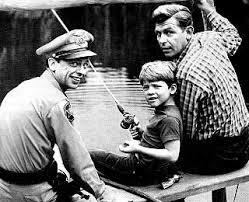 Andy Griffith, Mary Tyler Moore, Colombo are around a lot on one channel or another. I tried watching Magnum PI and some of the old Murder She Wrote but it takes soooo long for something to happen I usually fall asleep. And some of the acting...holy cow. Yeah, acting does matter a lot! One of my fav oldies is Hercule Poirot. Even if the mystery itself is slow the character is so intriguing he always entertains. David Suchet does such an amazing job. They canceled Psyche but I really liked that show. Gus and Sean were fun together and it’s fast and funny, especially the early episodes. Midsomer Murders on the BBC with Tom…not John...are fun. But my all time fav oldie show is The Gilmore Girls. Thank heavens they were on for seven seasons! Lorelai and Luke are doing and if Rory ever got back with Logan. So what about you? Got an oldie show you just love to pieces? One you turn on it’s like visiting old friends? Yes, the oldie show I love to pieces is I Love Lucy. Murder, She wrote is a favorite, of course but I also love Diagnosis Murder and even Matlock. Thank goodness for Hallmark Mysteries & Movie channel because they show all three! My husband and I always say we were born a decade too late. The two of us were born in the late 70's, but love the music, movies, and televisions shows from that era more than anything. So my favorite old shows are M.A.S.H. and Emergency, we watch them almost daily and even got our 9 year old daughter into them. By the way loved Gilmore Girls also and I was more of a fan of Dean and Rory, but huge fan of Luke and Lorelei. I love the oldies and would gladly watch them over what they call TV shows, today! I can clear a room in a flash by turning on what I want to watch on TV - always oldies. There are a few current shows that I watch but love my old shows and Hallmark Channel and Cozi TV. And Midsomer Murders - yes! Tom of course. I never tire of Lucy! Oh, Nicole, I watch more BBC shows than US as well. Your favs are mine. I so need to get Poirot and Me. Sound fantastic. The Brits do mystery so well… they rock! I’m a Gilmore Groupie! I find myself asking WWLD…what would Lorelei do. I love escaping to Stars Hollow! Oh the comment on Tom and Joyce is a total hoot…I’m still laughing. Thanks for that. All the shows you like are on Netflix. I have an Apple TV…it cost $100 and then Netflix for $8 a month. I got the Apple TV for a Chirstmas gift. You can stream with it. I don’t know what I’d do without it. Yes, the Hallmark Channel. Do you watch Cedar Cove? Don’t know why I like it but I do. Give me the oldies any day!!! I pay extra each month just to have the package that includes that channel. When in doubt, turn to channel 565. LOL! I LOVE 1970's T.V.!!! Our Time Warner Cable offers MET.V. and it is wonderful. Everything from the 50's to 80's. There are a few new shows I enjoy, and I think are well done; but nothing beats the old stuff. Two of the "newer old shows" I like (however) are Fraiser and The Golden Girls, they keep me laughing. I am a trekker so I will watch any of the Trek shows I find. I don't watch Zoo or any of the zombie stuff. I did tap Man from U.N.C.L.E. episodes as Neil's cousin had a part on one. I'm not sure if the tapes are still here or any good. I do catch the Golden Girls on Hallmark sometimes. I also plan to go on a bus trip to see Carol Burnett on my birthday. I love I Dream of Jeannie and Bewitched. I loved Perry Mason, watched it with my Daddy when I was young. Love the old shows. I love both. Betty White is my hero. What fun! Now that’s a fantastic B-day!!!!!!! Way to go. Perry Mason was the best, used to watch it wth my parents too. Great memories. And I loooove Bonanza. Duffy, you are so right about the over-the-top acting! 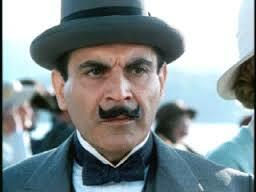 But I agree, the plots are marvelous...love Hercule Poirot!! I just love Poirot. The character is fantastic. I watch Matlock a lot. What a fun character and he likes hotdogs. Yummm. I haven't gotten into Cedar Cove too much yet, but I am now hooked on When Calls the Heart. What a fun blog this has been, nice to see so many people love the old old shows as much as I do! Love watching Sabrina, the Teenage Witch and Boy Meets World.